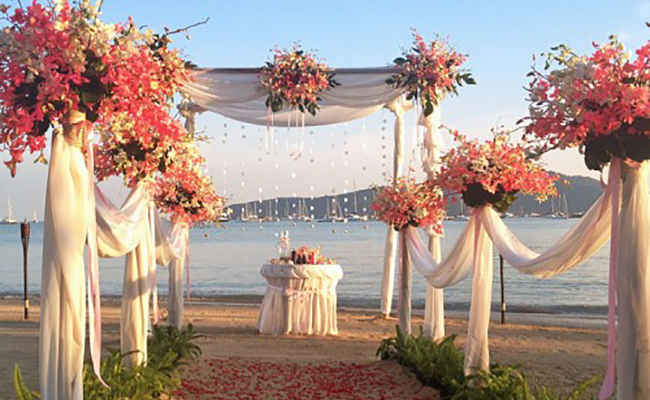 The gorgeous location of Aochalong Villa Resort & Spa on the absolute beachfront in a tranquil neighbourhood makes it the perfect choice for a wedding celebration. Say ‘I do’ to a backdrop of clear blue skies, the azure Andaman Sea and exotic islands and welcome in the evening with special friends and family at a champagne cocktail party. 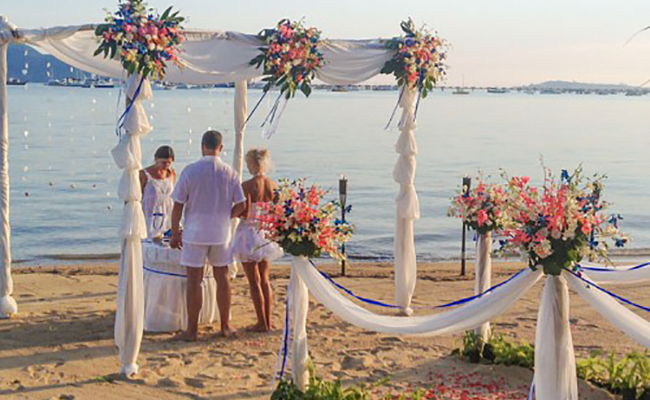 The resort has an attractive banquet room, spacious garden and extensive beachfront area and whether you prefer the grace and charm of a traditional Thai wedding or walking down the aisle in a western style wedding, we can arrange it. 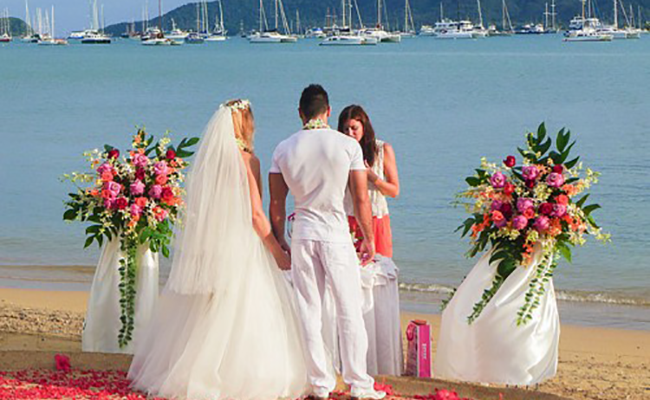 Our experienced staff can tailor make your special day to make all your wedding dreams come true.